If your PC is currently displaying notifications that your build of Windows 10 has expired and that Windows is no longer activated. Your PC will restart every few hours and then eventually fail to start after 10/15/2015. To upgrade to current build, see the following Insider forum posting. 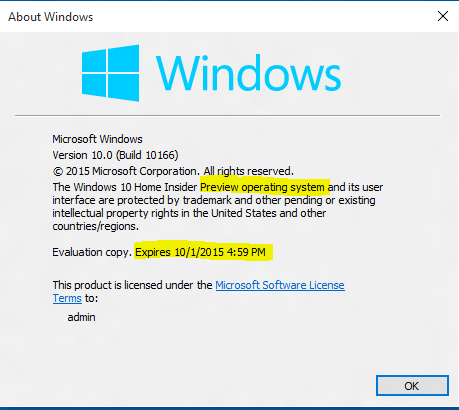 Q: How do I determine Preview build expiration date? A: Run winver.exe in the search bar and it will display the operating system’s expiration date.